Last Thursday was a day of exciting connections at Van Meter. It all started out at 8:00am before school even started in Shawn Hyer's room. His 7th grade reading class Skyped with Christina Spiezio's 7th graders in New Jersey. They had fun exchanging conversations about the differences between Iowa and New Jersey, books, and made plans for future connections. They are starting a project working together in Edmodo talking about current event articles on Tween Tribune and other sites. I was lucky enough to met Christina and her teaching partner Chuck Poole at #NTCamp Philly last summer. Chuck's students have connected with our 6th graders this year too. Shawn's other class of 7th graders connected in the afternoon with more of Christina's students. My friend Stephen Gagnon, a 4th grade teacher in Portsmouth, New Hampshire at Strathum Elementary, told me about World Maths Day. On this site, students can play other students from around the world. On March 1st for 48 hours there is a competition for students ages 5-18. Stephen's students have completed thousands of practice problems within the last few weeks at school and home. Since his students are so great at the World Maths Day site we thought it would be fun to have Mr. G's students teach our students about it too. They Skyped in for almost a hour to Cindi Byrne's 4th grade classroom at Van Meter. They introduced themselves, talked about their schools, learned about World Math Day and the site, and at the end after everyone signed into the site, they even played each other. It was such a fun experience for all of the kids. After the connection with Mr. G's students, the 4th graders went to the elementary computer lab to hear an amazing presentation by Paula Naugle's 4th graders in New Orleans. She contacted me about her students presenting their Mardi Gras projects to our students. They presented to Staci Braun's and Mrs. Byrnes classes. The students in New Orleans showed masks, items from the parades, photographs, told personal stories, and even did a dance at the end. It was so amazing! Our kids asked great questions to their new friends too. I have been working with Eric Trudo's advanced computer class on a social media unit. After introducing various social networking tools and telling the class about Twitter, which is my favorite, I thought it would be beneficial for them to hear from another educator too. I asked my wonderful friend Steven Anderson @web20classroom to Skyped with Eric's class. Steven spoke to the students about Twitter and other social media tools. He also spoke about his PLN and the power of the connections that he makes every single day through social networks. The students really enjoyed hearing his story and our conversation about the connections we make to enrich the lives of students and teachers within our schools. 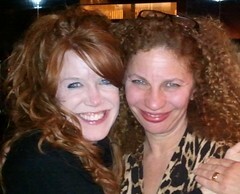 All of these connections started when we met each other on Twitter. We collaborate together, share resources, discuss education, and help one another out. We invite these people into our classrooms to teach our students and encourage relationships between our classrooms and schools. Through these connections we are teaching our students about the power of connections, the importance of communication, and the value of friendship. And this is just one day at Van Meter. I cannot wait to see who "visits" our classrooms and students next. Celebrating the Power of Words and Stories Through Connections! On March 9th, we will be celebrating World Read Aloud Day together. "A day to take action to show the world that the right to read and write belongs to all people. World Read Aloud Day motivates children, teens, and adults worldwide to celebrate the power of words, especially those words that are shared from one person to another, and creates a community of readers advocating for every child's right to a safe education and access to books and technology. By raising our voices together on this day we show the world's children that we support their future; they they have the right to read, to write, and to share their words to change the world." So last Friday, we collaborated from Van Meter Community School to Brook Forest Elementary School through Skype and brainstormed a way to connect not only our students, but other students, teachers, and communities around the world. We are calling our project CELEBRATING THE POWER OF WORDS AND STORIES THROUGH CONNECTIONS. Throughout the day on March 9th, we will be connecting our students and others around the world with amazing books through read aloud's and discussions on Skype. Last night, we connected with seven other educators who are as excited as we are. And this is just a start! Today we created a wiki to connect everyone, coordinate times, post photographs and videos, and reflect after the event. The wiki is open for others to join. Please feel free to share on the wiki too. This is going to be an exciting project and one that will make an impact on the lives of our students and others. On LitWorld's website there areseveral activities and a blog to read what others are doing for this special day in their school too. Have fun and remember....our voices can make a difference! I do fervently believe - like the Justice League - there are MANY Superhero Librarians out there! We are a Tribe! And some of them have even blogged about this exciting contest! 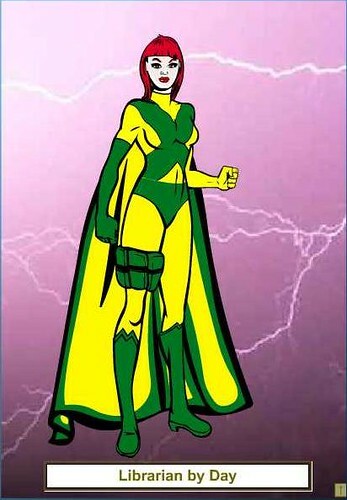 I have been a superhero fan (Go Marvel & Stan Lee!) since I was a kid! And Beyond! 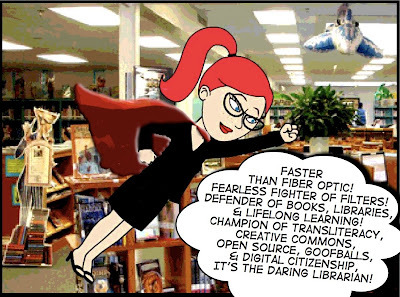 Who are Your Librarian Superheroes? My Librarian Superheroes are part of the Big Red Machine ©iansinger ie: Joyce Valenza &Shannon Miller! Two librarians who are my compatriot at arms, my right and left hand chickies and perpetual inspirations....two librarians who invigorate their schools and connect with their communities. Yeah, like that. They're that cool.Zing! 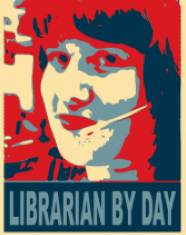 Also, the superhero public librarian the ever Divine Digital Branch Manager, Chattahoochee Valley Libraries- Librarian By Day Bobbi Newman is an inspiration to me and a champion of Transliteracy (yeah, that rhymed! ), the Amazing Canadian Velvety Stephen Abram - ofStephen's Lighthouse, let's not forget Jennifer LaGarde - Library Girl, and of course K-M The Librarian! A Super Social Media Experiment! 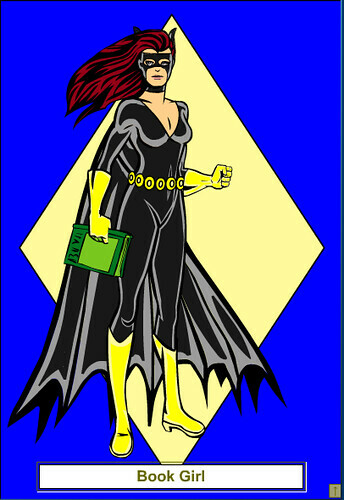 To nominate your favourite librarian superhero - you must do so via the Facebook page! There you can see the transparent nomination process & get to know other super cool librarians, too! 1. 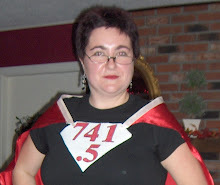 Are You a Librarian Superhero (“Contest”) will begin on or around 8:00 am EST on Monday, January 31, 2011 and will end on or around 5:00 pm on Monday, February 28, 2011. All Contest times will be measured by the Sponsor’s computer system clock. 2. Gale/Cengage Learning (“Cengage Learning,” “Gale/Cengage Learning” or the “Sponsor”) is not responsible for miss-delivered, undelivered, illegible, incomplete or late entries, network outages, lack/loss of signal, untagged messages, or any other technological difficulties that may prevent submission. the Nominee’s name; where they work; and what makes them exceptional. Include how this person makes a difference for the community and patrons, and how the library is improved because of their process or presence (each posting, an “Entry” and each participant posting a Nominee, an “Entrant”). 4. Multiple Entries will not increase the odds of winning. 5. Entries received after official end of the contest on the final day will not be accepted. 1. You need not be present at ALA’s Annual Meeting to win. 3. Entrants who nominate a semi-finalist will be contacted via Facebook for complete contact information and a photo of the Nominee. Entrants and their Nominees who do not provide complete contact information and Nominees for whom a photo is not provided will be eliminated from the Contest and the Sponsor may replace such Nominees as semi-finalists, in its sole discretion. 1. 20% – Showing leadership skills to forward the cause of the library, its patrons and the community. 2. 20% – Embracing new technologies to keep the library accessible and relevant to users. 3. 20% – Creating an environment that supports learning and fun, exploration and personal expansion. 4. 20% – Exhibiting determination, enthusiasm and the quest for sharing knowledge beyond the reach of their peers. 5. 20% – Insisting on play, engagement and pushing the boundaries. 5. 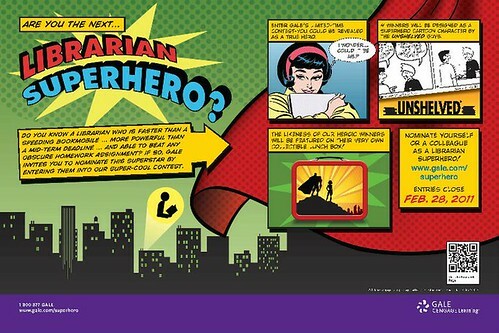 Four Nominee librarian winners will be selected, with their likeness being used to inspire a cartoon superhero, personifying the traits included in their nomination. 6. Winners will be notified via phone the week of March 21, 2011. 1. 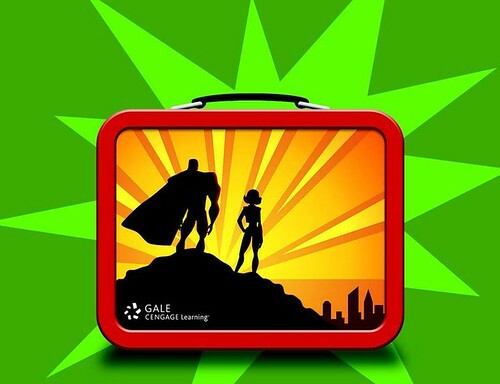 Winners will have a cartoon created in their likeness and printed on materials by Gale/Cengage Learning, including (but not limited to) a metal lunchbox!!!!!!! (with an approximate value of US$20), trading cards (with approximate value of US$300 and signage (of deminimus value). For those still stuck on an island without Social Media guarded by sharks with laser beam helmets and can't get to Facebook you can email your submission here library.superhero@cengage.com ....but better yet, break free & escape from the locked net monster & dare to join this Facebook page! As Bobbi said in her blog, there are more prizes these are just the coolest of the cool! Zap! "In his latest "Tip of the Hat/Wag of the Finger" segment featured on last night's episode of The Colbert Report, Colbert wagged said finger at Zack Snyder, director of the upcoming Superman film from Warner Bros., forcasting British actor Henry Cavill as Superman/Clark Kent. 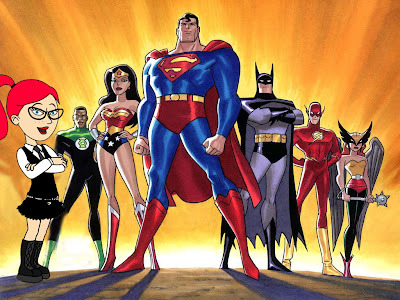 "Superman is American," remarked Colbert. "His name is Super Man, not Smashing Gent." From there, the commentary quickly resembled something found recently on message board postings against the idea of a British Superman. "And let's remember," said Colbert, "his spaceship crash-landed in Smallville, Kansas, not Uppington-Upon-Tweed-Wee-Chestershire. For God's sake, the man gets his power from the sun. How can he be British? They don't have a sun." The full commentary can be found at the Colbert Nation site here. Ryan Sloth Visiting Van Meter! The students at Van Meter are excited to have a very special visitor tomorrow! Ryan Sloth, author of Sammy Sloth, is coming to speak to the students about being an author and the importance of reading and writing. As his website states, "Ry Sloth introduces children to a youngster who, with the encouragement of his mother, is determined never to give up on his dream. Join Sammy Sloth on his journey to learn the importance of continued effort and hard work to succeed. 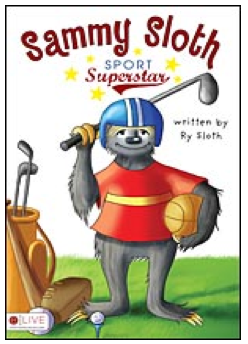 Children and adults will find themselves cheering Sammy along on his quest to become Sammy Sloth: Sport Superstar!" Ryan played ball at Iowa State University. He then went on to play arena football for the Columbus Destroyers, Bakersfield Blitz and Iowa Barnstormers. Ryan is currently a defensive and special teams coach for the Barnstormers. Thank you Ryan for taking the time to visit us! We look forward to learning with you.